Mayor Ron Nirenberg is fine-tuning his tone on e-scooters. In October, when the City Council unanimously approved a six-month dockless vehicle pilot program, Nirenberg rhapsodized about San Antonio’s ability to adapt to this new technology and industry with regulations that weren’t too restricting, while recognizing issues such as speed and pedestrian safety still needed some work. Now, Nirenberg believes e-scooter usage has “grown beyond expectations,” he said in a press release. The city of San Antonio has issued permits for 14,000 dockless vehicles for mostly e-scooters to six companies so far. 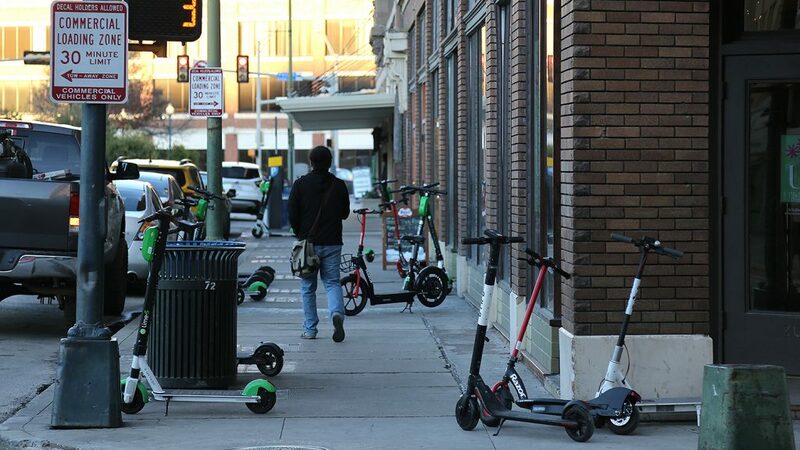 Last week, the city’s Transportation Committee, which is composed of five City Council members, capped dockless vehicle permits at 14,000—12,000 for e-scooters and 2,000 for e-bikes. City officials estimate there are 9,500 actual vehicles in operation throughout the city. Nirenberg’s comments today set the stage for tighter scooter regulations which the full council will consider Feb. 14. They are likely to set hours—6 a.m.-10 p.m.—during which scooter usage is allowed. Improperly parked vehicles may also be impounded without warning the companies. And the city will also consider increasing its permit and application fees for companies. Meanwhile, the city’s Center City Development and Operations department is scouting for areas around downtown, mainly large sections of sidewalk unessential to the flow of foot traffic, to designate “scooter parking.” The city will also consider creating “scooter corrals” that would take up a single curb-side metered parking spot. “The program has exploded to a level that potentially compromises pedestrian safety, creates congestion on sidewalks and even impedes the city’s ability to effectively clean the sidewalks,” Nirenberg said. Since late last year, District 1 Councilman Roberto Treviño has pushed for enhancements to the dockless vehicle pilot program. For example, people can now report illegally parked scooters on the city’s 311 mobile app. Reviewing data provided by the San Antonio Fire Department of the 78 incidents reported from Sept. 25, 2018, to Jan. 12, there seems to be a lot of drinking and scootin’, if you will. There have also been many face plants, a couple of possible fractured ankles, at least one fractured arm, and one chipped tooth. The pilot program ends April 19. I feel like a broken record. If the goal is pedestrian safety then you need to address cars in the downtown area.